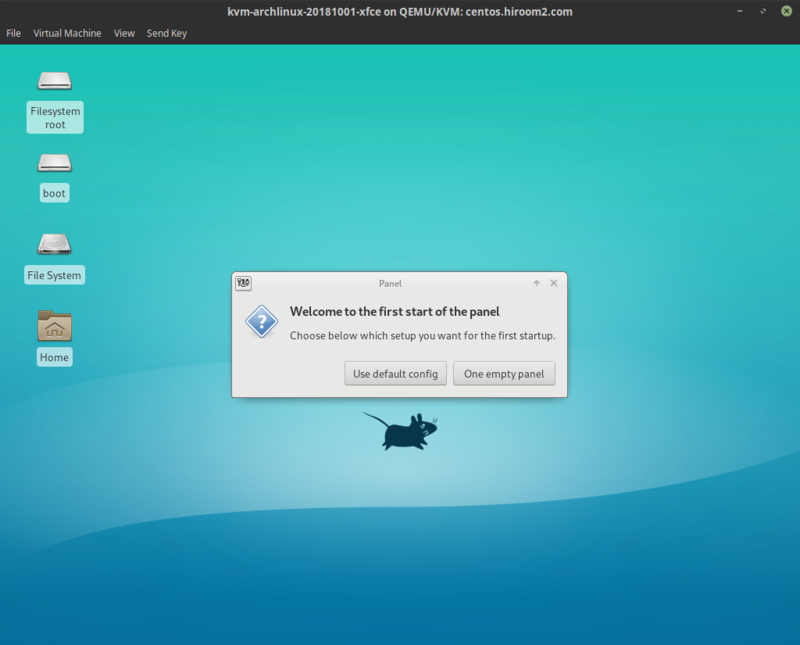 Install xfce4 group, xfce4-goodies group and lxdm. Set default session to Xfce. 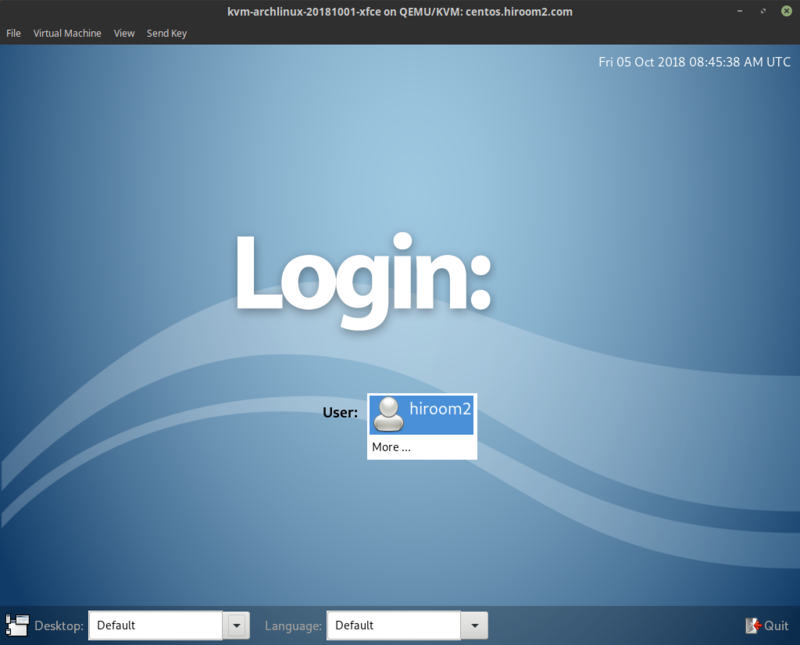 Login screen is displayed. Login with your username and password. Xfce desktop environment is displayed.